← Once upon a time in Wimbledon, there lived a king called Roger! 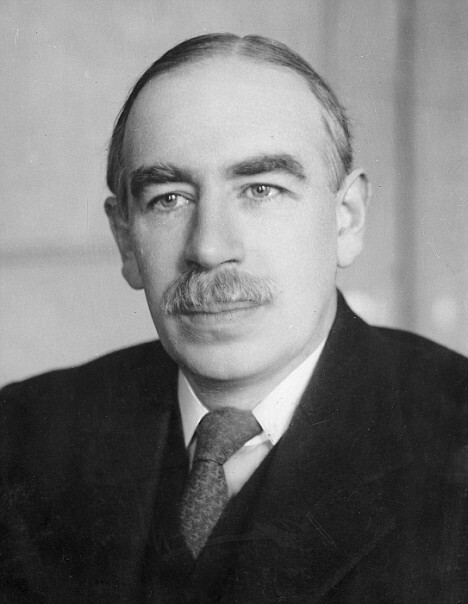 A predominant economist from the early 20th century credited with shaping modern economic theory, now called ‘Keynesian theory’, John Maynard Keynes was a British economist and thinker who wrote a number of influential books and essays such as ‘The Economic Consequences of the Peace’, ‘The End of Laissez-faire’ and ‘The General Theory of Employment, Interest and Money’. His writings, though centered around economics, gradually covered issues around human behavior, his profession and philosophy, and often had far-reaching, profound impact. 1. When the accumulation of wealth is no longer of high social importance, there will be great changes in the code of morals. 2. By a continuing process of inflation, government can confiscate, secretly and unobserved, an important part of the wealth of their citizens. 3. The long run is a misleading guide to current affairs. In the long run we are all dead. Economists set themselves too easy, too useless a task, if in tempestuous seasons they can only tell us that when the storm is past, the ocean will be flat again. 4. Most men love money and security more, and creation and construction less, as they get older. 5. Education is the inculcation of the incomprehensible, into the indifferent, by the incompetent. 6. If you owe your bank a hundred pounds, you have a problem. But if you owe it a million, the bank has. 7. The power to become habituated to his surroundings is a marked characteristic of mankind. 8. For my part I think that capitalism, wisely managed, can probably be made more efficient for attaining economic ends than any alternative system yet in sight, but that, in itself, it is in many ways extremely objectionable. 9. Capitalism is the astonishing belief that the nastiest motives of the nastiest men somehow or other work for the best results in the best of all possible worlds. 10. I do not know which makes a man more conservative — to know nothing but the present, or nothing but the past. 11. The difficulty lies, not so much in developing the new ideas, but in escaping from the old ones, which ramify, for those brought up as most of us have been, into every corner of our minds. 12. Professional investment may be likened to those newspaper competitions in which the competitors have to pick out the six prettiest faces from a hundred photographs, the prize being awarded to the competitor whose choice most nearly corresponds to the average preferences of the competitors as a whole. 13. Worldly wisdom teaches that it is better for reputation to fail conventionally than to succeed unconventionally. 14. It is generally agreed that casinos should, in the public interest, be inaccessible and expensive. And perhaps the same is true of Stock Exchanges. 15. For the importance of money essentially flows from its being a link between the present and the future. 16. People are apt to be unduly interested in discovering what average opinion believes the average opinion to be; and this weakness finds its nemesis in the stock market. 17. Markets can remain irrational longer than you can remain solvent. 18. If farming were to be organized like the stock market, a farmer would sell his farm in the morning when it was raining, only to buy it back in the afternoon when the sun came out. 19. Most, probably all, of our decisions to do something positive, the full consequences of which will be drawn out over many days or years to come, can only be taken as the result of animal spirits—a spontaneous urge to action rather than inaction, and not as much the outcome of a weighted average of quantitative benefits multiplied by quantitative probabilities. 20. It is better to be roughly right than precisely wrong.